In July of 2007, I had my third and last surgery in a ten-month period for advanced ovarian cancer. With a 10-20% chance of survival, I came up with a plan to beat the disease, which included a healthy plant-based diet and a daily green juice. I wanted to share what I learned with the world and four years later, in July of 2011, Responsible Eating And Living (REAL) was born. Responsible Eating And Living is now 3 years old and we are very proud of what we’ve accomplished since we started. On June 10th we released our first full length film, a 70-minute documentary entitled The Lone Vegan Preaching to the Fire. We are receiving wonderful comments from folks all around the world. Many are telling us that what I did, speaking to 250 cattle ranchers about climate change, in a compassionate way, without pointing fingers and making people defensive, is what vegan outreach should be about. Listen here to an interview with Gary De Mattei, the director of the film. 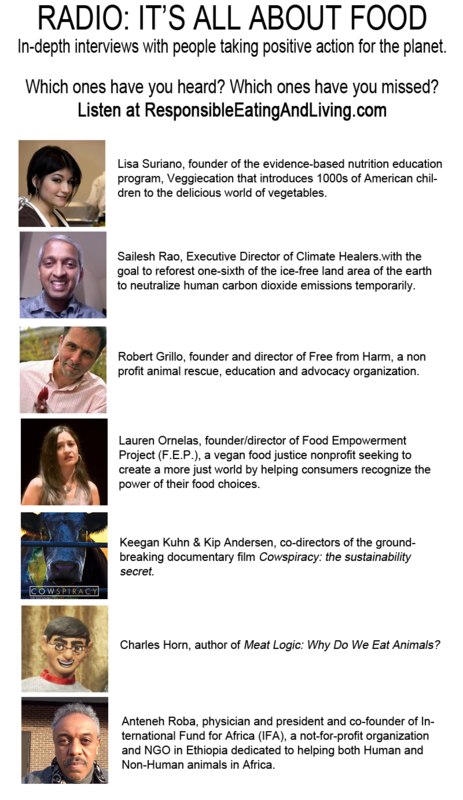 If you haven’t seen The Lone Vegan Preaching to the Fire yet, I hope you will schedule the time to watch it soon. It’s FREE – it’s our gift to you. After you watch it send us a quick email to let us know what you thought of it. Your feedback is important to us. And please share the film with your family and friends. We are in the midst of our Summer Fundraising Drive. Please help us continue our REAL work with a tax deductible contribution today. 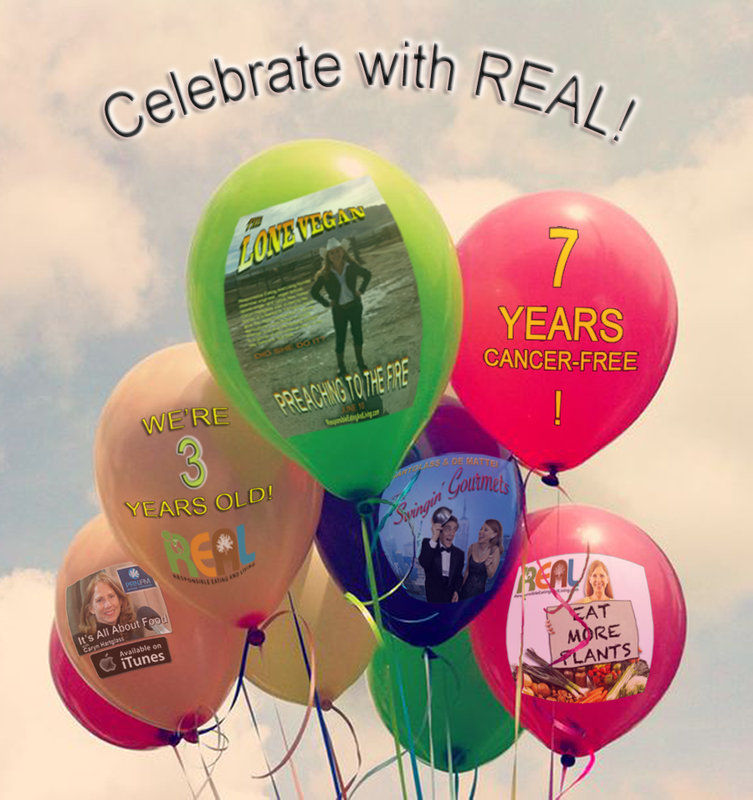 I am very happy to be celebrating 7 years cancer-free and the third anniversary of Responsible Eating And Living with all of you. Responsible Eating And Living is a 501(c)(3) nonprofit corporation.